Getting a driver's licence isn't a race. If you don't need a licence yet, just wait. A learner's permit is valid for 2 years, so there's plenty of time to gain extra experience and keep you safer. The you more practice as a learner the safer you'll be. As a young driver you'll be safer when you drive for a specific purpose. You are less safe when you drive just for fun. There is a link between learner driver safety and general lifestyle. Driving is a part of most people's lives. Most integrate driving into their general lifestyle to get them from one place to another. The car is a tool they use to meet their other needs. For others, cars and driving are central to their life and they don't need a reason to drive. This type of driving is associated with a higher crash risk. Try and see the car as a tool you can use when there is a reason to get somewhere. 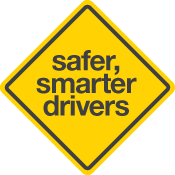 Be a safer, smarter driver.